Servers in the Cloud. Fast and expandable on the fly. VPS are the perfect solution for advanced websites, apps and programs looking for increased flexibility, power and control, without the cost of a dedicated server. Our Virtual Servers are ideal for web designers, developers, small businesses and agencies demanding cutting edge VPS technology at a great price. As well as fantastic technical specifications, our UK VPS come with these great features. We never over crowd a server or over sell any resources, which means you get exactly what you have paid for, and no less. No matter what is being run on the server, our virtualisation technology makes sure the ‘private’ in ‘virtual private server’ means something. Take control of your VPS with remote switch off/ restart, uptime monitoring, bandwidth charts, server status, and more. Add Plesk or cPanel to your VPS for even more flexibility and functionality. Host multiple websites with your own virtual server, and using cPanel or Plesk allocate resources on a website by website basis. 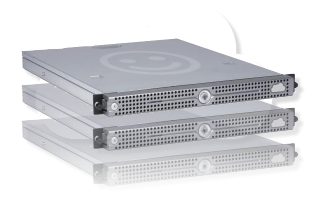 All our virtual private servers are genuine Dell Servers built specifically for virtualisation. This ensures you get the best possible performance from your VPS all day, every day. Use your VPS for more than hosting your website files, or to complement existing resources. A virtual private server is a great choice as a gaming, database, file, video, FTP, mail, anything you can think of server. All our VPS use the latest Dell and Intel hardware for maximum performance and uptime and come with full root access as standard for maximum control and flexibility. If you have any questions about which account is the most suitable for you, please contact pre‑sales support. Why not create an account now? We could go on to say how good "I need Web Hosting" is, how low the web hosting prices are, list the benefits and web hosting features, including before you buy! It's free to create an account and learn more. Why not create an account and Try it!.